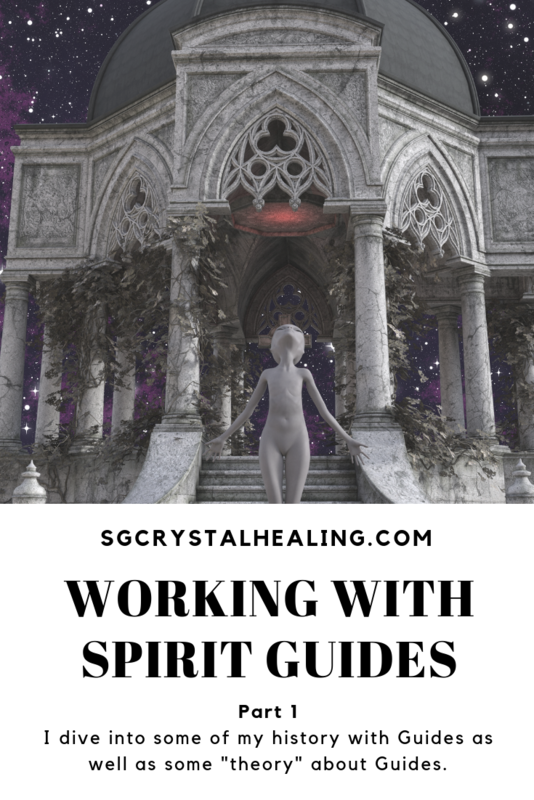 Hey Everyone – Working with Spirit Guides is a topic I am finally ready to dive into with you. This post has been in the making for a long time but I just never got around to writing it for numerous reasons aka I procrastinated. What I am offering you is a two part series. This week I’m offering the history and some “theory”. 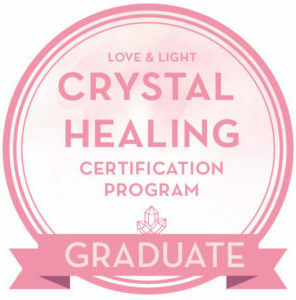 Next week I am going to share what crystals my guides have shared with me that you can use for communicating WITH Guides. I suspect if you follow my blog or me, you’ll probably gravitate toward some or all of those rocks. When I was a wee wee tot I was always talking to imaginary folk, like you did I’m sure. I lost it when I got older of course. The same story, we all know it. When I got onto the spiritual journey a few years ago, what opened me up to guides was actually an Angel Workshop I attended by Geraldine. After that one, I attended all of Geraldine’s workshops because they were so damn fascinating. From her I’ve learnt about channeling, animal guides, spirit tribes, guardian angels and guides. This year I took a master course with Yamile Yemoonyah about Spirit Guides and that sort of continued unlocking myself. I’ve had the most INCREDIBLE experiences this year alone with guides. My BFF Guide is Grey. He doesn’t always say much, but he doesn’t always need to SPEAK. He is wonderful and he helps me most of the time with my mandalas. Apart from Grey, I have a healer guide who helps me during healing sessions. I’ve also had lovely chats with Anubis, Jesus, Angels and a few animals. Guides are amazing to work with and I believe we all can. You know I regularly say this so this shouldn’t be a surprise to you. So, what are Spirit Guides then? As Kerry once said: they are your spiritual support team. They are there to support you and they are connected to you in unconditional love. When it comes to guides, I believe that we have one main guide, the BFF basically. We also can have other guides that have been with us for one or more lifetimes, or only a short time. Sometimes guides come in and out, depending on what we need or request. Whatever you need, wherever you are stuck, there is a guide who can assist apart from your BFF. To me Spirit Guides are like the tree branches of Source. Some people like to communicate directly with Source and others through Guides. For me, it’s the same thing, different labels. Some also prefer to work with just one kind of guide and others a combination. It doesn’t really matter as there is no right or wrong when it comes to Guides or working with them. Angels include both Arch Angels like Michael, Raphael, Gabriel, etc; but it can also include angels that don’t have that “well-known status”. They look like angels and I’d class them as like a Guardian Angel. Starbeings or aliens in layman’s terms. Nature Spirits or Elementals as I call them. These can include fairies, mermaids, dragons, unicorns, trees (yeah don’t think that trees don’t communicate mmmkay) and probably others I don’t know of. Ascended Masters like Jesus, Buddha, etc; but it can also appear as someone who has that Gandalf look. They have that older and wiser appearance to them. Off topic, but I also feel that Mandela would be an Ascended Master. Gods and Goddesses like Zeus, Isis, Aphrodite, Thor, etc. Animals which I’m sure you can guess what they’re about. Ancestor Spirits are like the elders of the tribe and experts in their field. I also feel that some people feel passed family members fall into this category. I am sure that from this list, you probably already have an inner knowing who your guide may be. Oftentimes I think we over-complicate it and try to put labels onto it, instead of just experiencing. If one of them stands out to you, I encourage you to research it or ask questions! I would love to hear if you work with Spirit Guides and if you know or have an inkling about who you Spirit Guide is? I will read your next installment. I Have never been able to get in touch with my spirit guide. I have had a woman save me in a dream. this was a very vivid not good dream. I resonate with angels, nature/elementals and ancestors. Never forget that your guides are ALWAYS with you. We don’t always realise and acknowledge that. We also sometimes have this in us that we need to SEE them, but this cannot always be the case. Sometimes you need to trust that they are there and keep working to connect and bond with them.